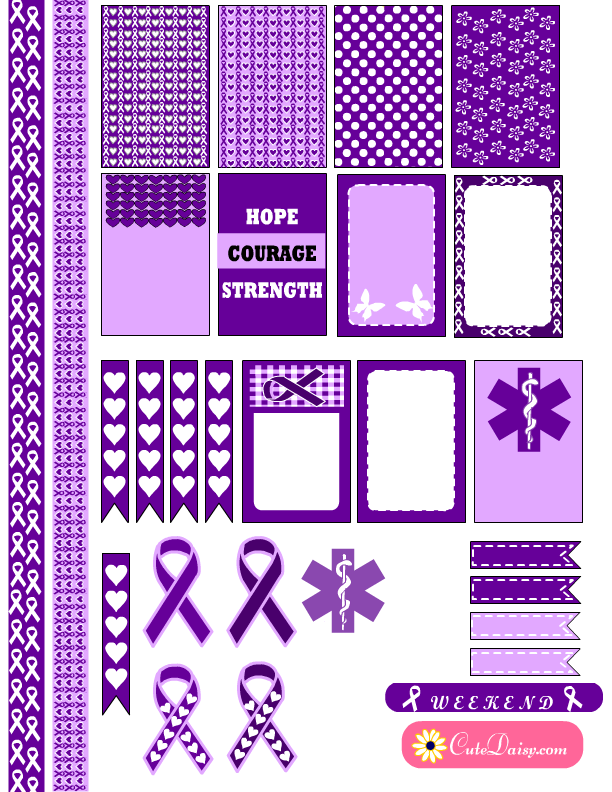 March is Epilepsy Awareness month and I was requested in my Facebook group to create some Epilepsy awareness stickers by Erica, so here they are. I hope many other people will be able to use this kit besides Erica as well. 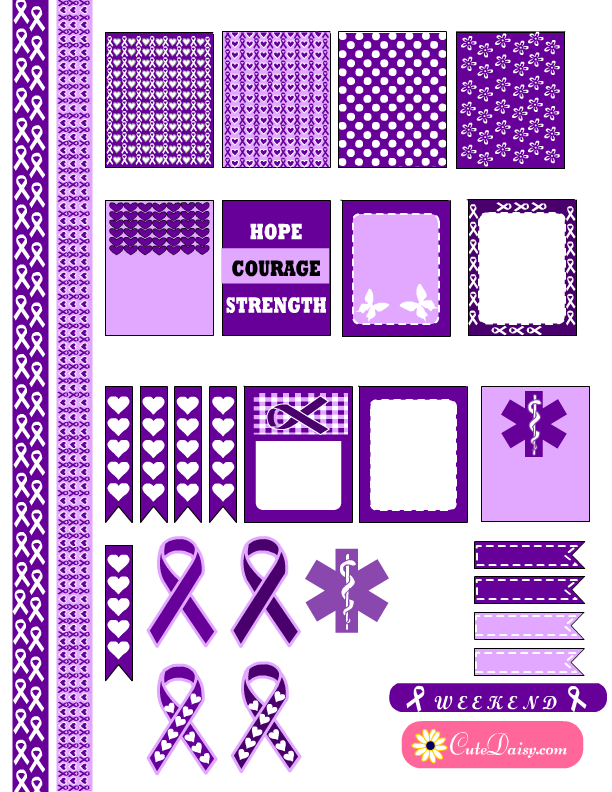 I had read that the color of Epilepsy ribbon is purple so I have made these stickers in purple and lilac color combinations. 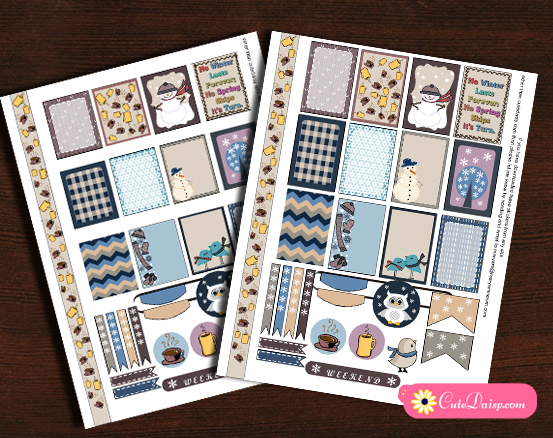 I have made these stickers for happy planner and also for Erin Condren Life Planner boxes. I am sending love, hugs and prayers to all the people who are facing any kind of challenge and may God bless everyone. 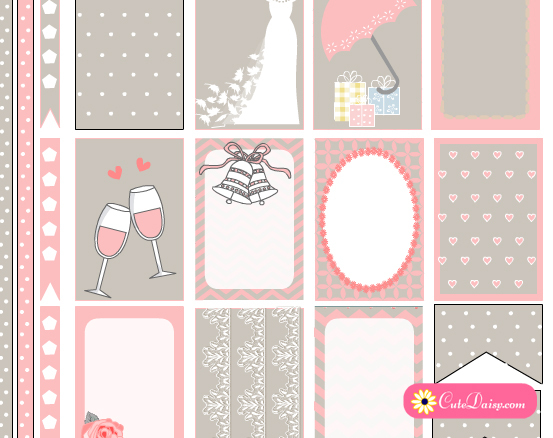 Click here to download these stickers for your happy planner. 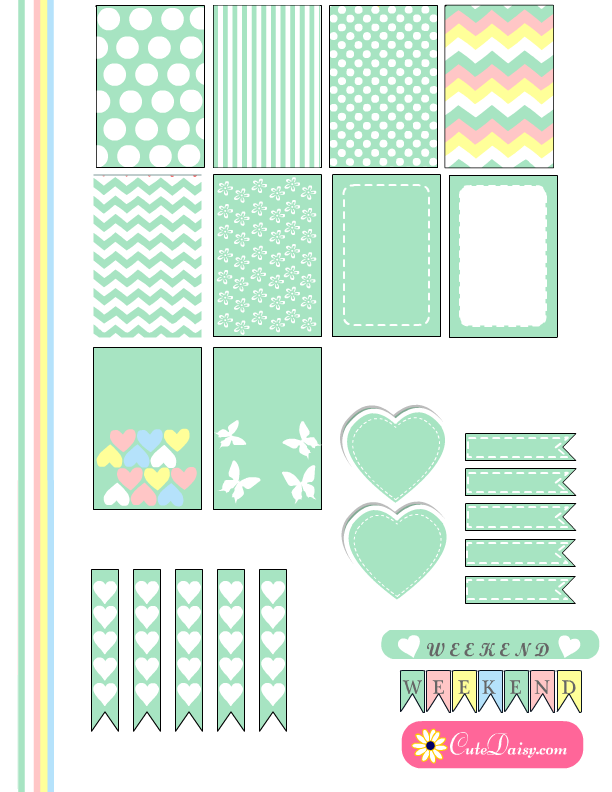 I have made 11 full box stickers, 5 checklists, 2 washi tapes, 1 weekend banner, 4 header stickers and 1 epilepsy symbol sticker. Full box sizes are 1.5″x2.25″. 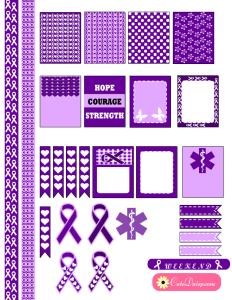 I have read that purple ribbon can be used for Domestic violence, religious tolerance, animal abuse, the victims of 9/11, pancreatic cancer, Crohn’s Disease and colitis, cystic fibrosis, leimyosarcoma, macular degeneration, Sjogren’s Syndrome, fibromyalgia, lupus, sarcoidosis, the homeless, Mucolipidoses, thyroid cancer, ADD, ADHD, alzheimers, cancer survivor (this is a general color that anyone who has survived cancer can wear), Pagan pride, Arnold Chiari Malformation, Mucopolysaccharidosis, Hurler Syndrome, children left unattended in cars, childhood or pediatric stroke, Anti-Gay Bullying (Spirit Day), epilepsy (Purple Day), overdose awareness and Migraine. 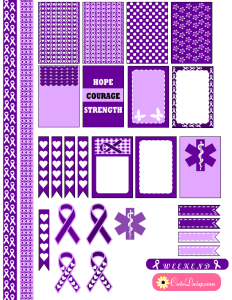 My sister has epilepsy had no idea there was even an awareness color or design out there. I printed and will use. My little girl, 9, suffers from Epilepsy. I can not put into words how much I love and appreciate you doing this. You have brought awareness to this cause and for that I am grateful! This are really cute thank you for bringing a wear newest to something that needs more attention. 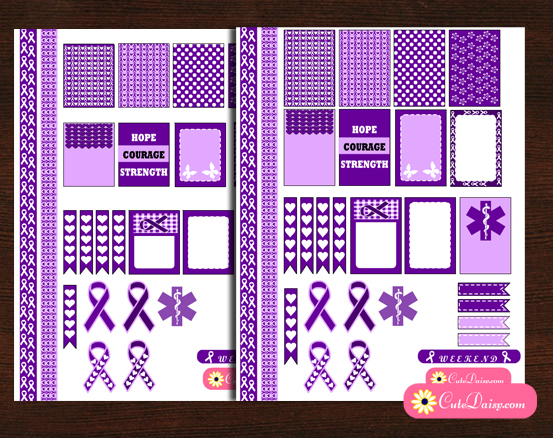 The finding your purple Epilepsy Awareness printable was a happy day! !